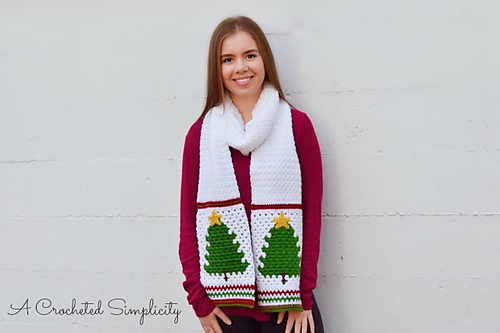 Get ready for the winter holidays with this simple, fun and free Christmas scarf crochet pattern. 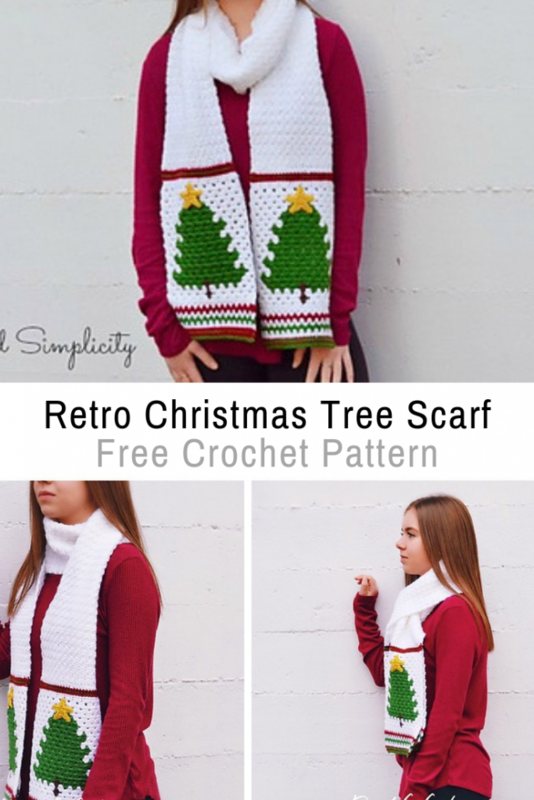 Retro Christmas Tree Scarf by Jennifer Pionk is a must have for anyone looking to celebrate winter holidays and have some fun.This precious Christmas scarf makes such a great gift this winter and if you dedicate it a few hours straight, you’ll be able to whip this up in no time. Thanks to Jennifer for the article inspiration and featured image. The Easiest And Fastest Crochet Messy Bun Hat You’ll Ever Make!